These adorable flower earrings are inspired by the colors of Indian Summer. 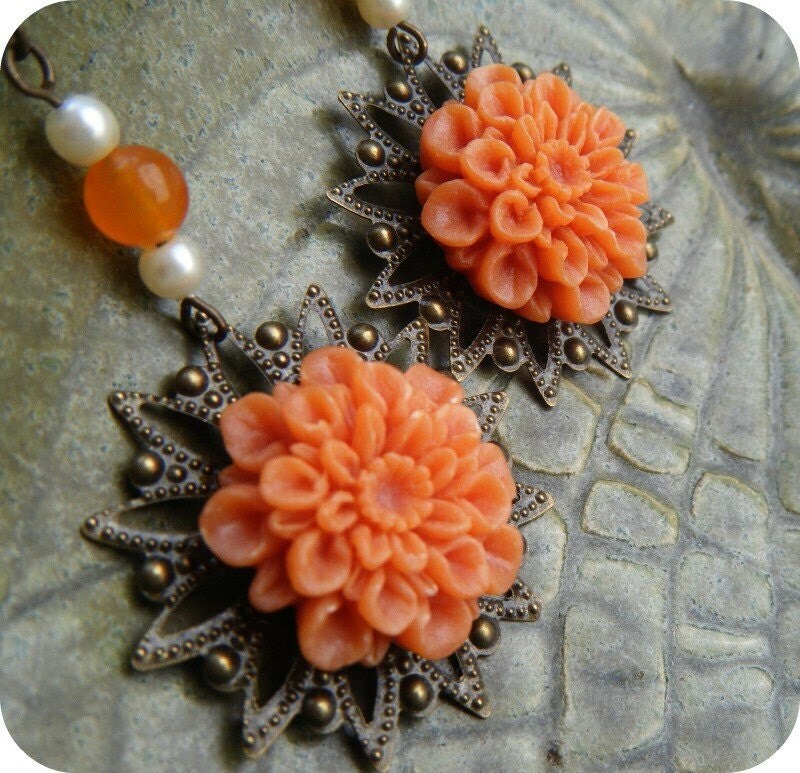 They feature gorgeously detailed burnt orange resin chrysanthemum cabochons affixed to antique brass-style medallions. We've also included a lovely orange glass bead surrounded by two small creamy pearls. Our Indian Summer earrings are pretty, feminine, and very lightweight. They measure 2 1/2" from the top of the brass ear wires.